Summer may be starting to wind down, but there are still a few months of warm weather fun to be had. If you love cars and are looking for a great deal on a new or pre-owned vehicle this summer, here are four reasons you should visit your local to explore the incredible deals we have on a wide range of vehicles, from the ever-popular Mazda 3 to the family-size Mazda CX-9. Who knows, your next favourite vehicle may be waiting for you in our showroom! Every month, Yorkdale Dufferin Mazda offers a range of exclusive deals on some of our most popular award-winning vehicles. 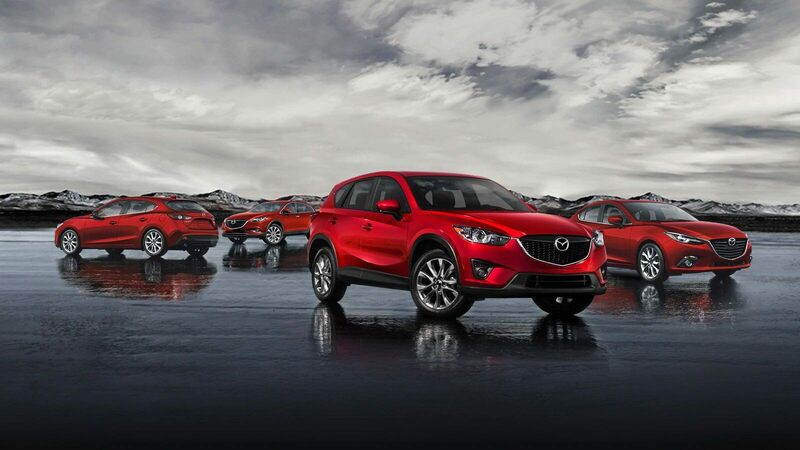 If you are looking for a new family sedan or SUV, the summer deals at your Mazda dealership in Toronto are the best place to find incredible prices and flexible payment plans. Visit Yorkdale Dufferin Mazda this month, and get 0% purchase financing for up to 72 months on a Mazda 3, and up to 36 months on a Mazda CX-5. And because 2018 marks our 50th anniversary, we’re also giving you a chance to win one of 50 Mazda vehicles across Canada! One of the best ways to save money when looking for a new vehicle is to purchase used. Mazda vehicles are engineered for superior long-term performance, and while a used Mazda may not have that new-car smell, it is guaranteed to deliver what really counts: incredible handling, eye-catching design, and the best modern features. Your local Mazda dealership is the best place to find used Mazda cars that provide the fun driving experience Mazda is famous for at a lower price, and if you live in the Greater Toronto Area, that means stopping by Yorkdale Dufferin Mazda. Every pre-owned vehicle at Yorkdale Dufferin Mazda has been selected for quality and reliability to ensure you get the best possible deal. When you are shopping for you a new vehicle, you want to try out as many different vehicles as possible so that when you find the one that gets your heart beating faster, you know you’ve made the right choice. One of the biggest mistakes people make when shopping for a new or used car is simply settling on the first appealing option they see that is within their budget. If you know you want a Mazda vehicle, but aren’t sure which one is best for you, why not check out our huge selection of Mazdas and take a couple of them out for a test drive? For many shoppers, purchasing a vehicle does ultimately come down to budget, and the key to finding that perfect vehicle — one that has all the features you need at a price-point that works for you — is usually in the financing package. At Yorkdale Dufferin Mazda, we have a dedicated team of finance and automotive professionals who can help you find the best possible deal on your next Mazda vehicle, and set up a payment plan that works for you. With so many reasons to get excited about buying a new or used Mazda this summer, why not stop by Yorkdale Dufferin Mazda this month and see whether one of our premium vehicles can deliver the features you want and the driving experience you need this summer? Whether you’re looking for a reliable SUV or an exotic Miata roadster, we guarantee you’ll like what you see!